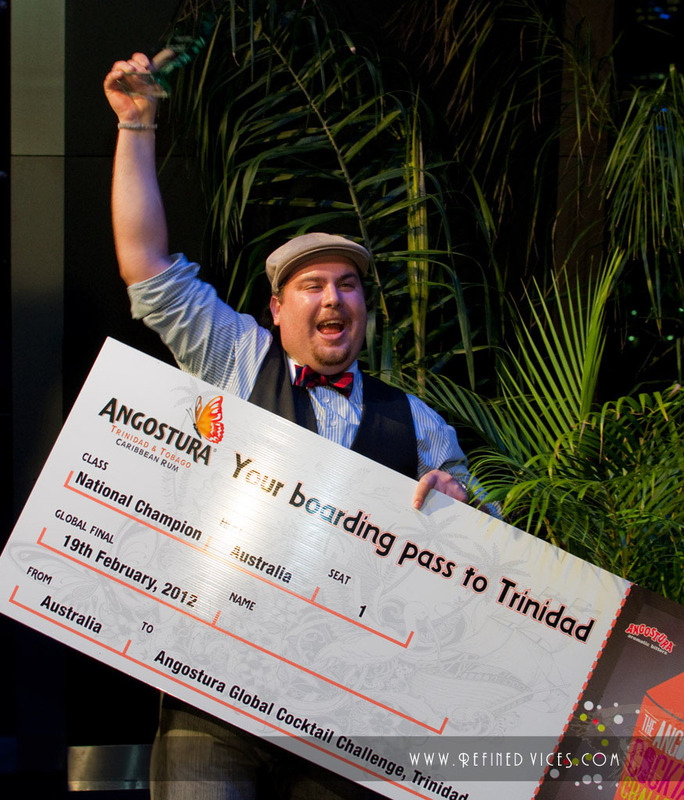 The Angostura Global Cocktail Challenge will come to an end after a select few bartenders, out of the hundreds of participants around the world, will be given the chance to compete in the final battle for the ultimate title in Trinidad next month. 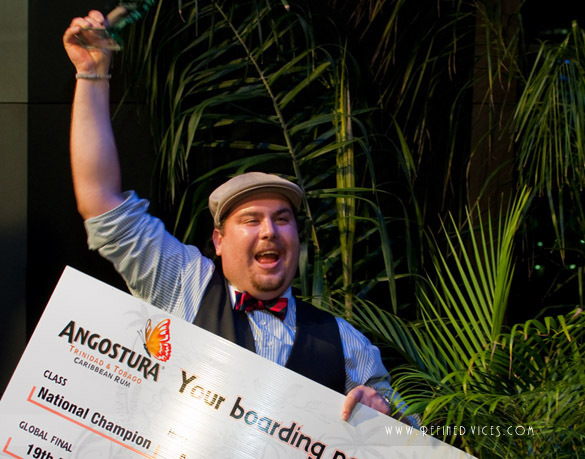 The Champion of the Angostura Global Cocktail Challenge will win a grand prize of 10,000 US dollars and a contract as Angostura's Global Brand Ambassador for the next 12 months. 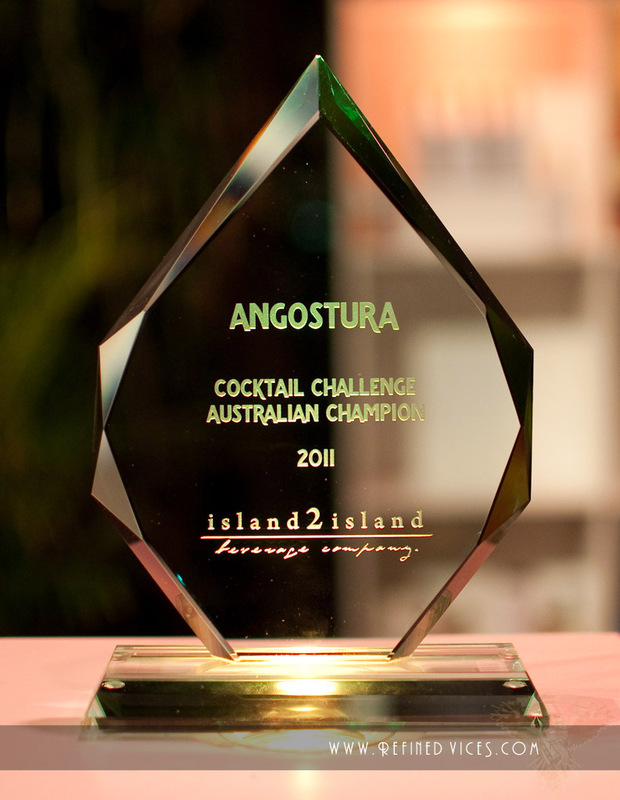 The title is currently held by Andy Griffiths who won the Australian Finals and eventually took home the prize for the whole Cocktail Challenge with his Scarlet Ibis and Orinoco Flip cocktails in March 2011. Participating in the final competition this year will be 15 bartenders including our own Joe Sinagra of Luxe Bar, who was the winner of the Australian Final of the Angostura Cocktail Challenge, held at the Crown Casino in Melbourne. Good luck to all the finalists in Trinidad, it's going to be one hell of a competition and I'm sure, an unforgettable experience for everyone involved.